Tim Swords' Squat Program with Bailey! I started going to Barbell Club at Catalyst right around the time I finished the Burgener 10x3 squat program. They recommended I do Tim Swords' Squatting Program next, so I did. It was great since I was looking for a squatting cycle that had both front and back squats, but more front squats. It was a nice transition from 10x3 and a huge relief! The Swords' Squat Program was created by Tim Swords, head coach of Team Houston Weightlifting. The Tim Swords' squat program is 7-weeks long and has you squatting three days per week. It includes both front and back squats, with an emphasis on front squats. For a given session, you'll either do front or back squats, but not both. Since there is no clear pattern in this cycle, I ended up doing the sessions Sunday, Tuesday, and Thursday. It is also fairly low volume, approximately 10-25 total reps/session (including warm up)... especially when compared to the full Burgener 10x3 cycle! Nevertheless, many people have experienced great success from it. Sauteed black trumpets and chanterelles. How to saute mushrooms... seriously!? Yes! Mushrooms and most of their flavor compounds are fat soluble. This means they taste extra yums when paired with butter, oil, or a combination of both... and they really don't need much more than simple seasoning to make a great side dish. Serve them with a nice cut of steak, chicken, whatevers. The other cool thing about mushrooms is the variety, not just in species but also in taste and smell. They are so unique and delicate. Some mushrooms can't even be cultivated and hence making some types a delicacy. It's super simple to maximize mushroom flavor output. With the exception of truffles, you can pretty much use this recipe for any type of edible mushroom, fresh or dried, wild or non, and get the most out of the natural flavor without going too crazy. As you all know, I am a huge foodie. I love cooking with premium, natural, and local ingredients. But sometimes these ingredients are hard to find or expensive. Looking for grass-fed beef, free-range chickens, or wild mushrooms at a discounted price? 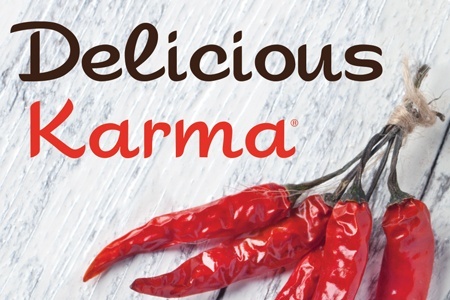 Check out Delicious Karma! Delicious Karma is a social shopping site that makes it easy for food lovers to discover, learn about, and buy exceptional artisanal and gourmet foods at great prices. Based in San Francisco, this start up is also passionate about supporting the community of artisanal food vendors by providing them an efficient way to get their products out. Currently, you have to register to access the site. Members are introduced to new foods via special sales that last 3-7 days. During this period, members can buy the new foods at 30-50% off before they are moved to inventory. Upon registration, you can also use my promo code: JES10%OFFDK for 10% off your first purchase... or used with Karma Kredits for up to 30% off! What's in my gym bag? What are my favorite accessories and why? I get asked these question a lot both at the gym and over email. So here is a post to hopefully cover it all.